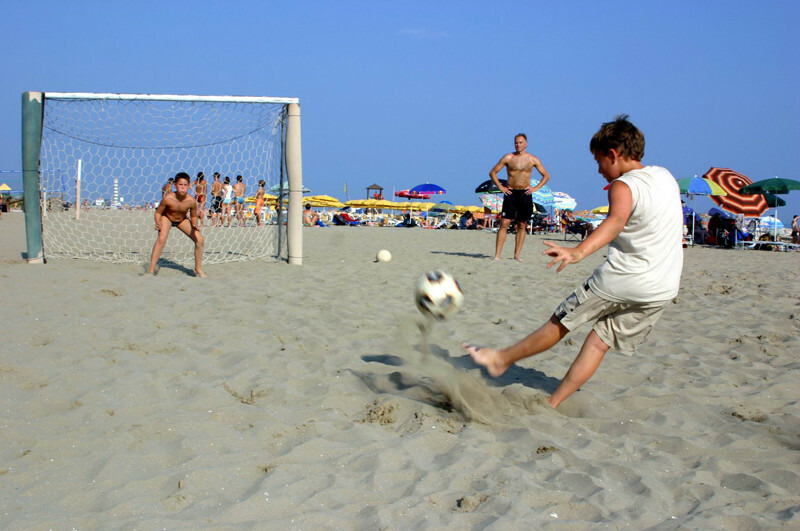 The beautiful stretch of fine golden sand of the Camping Garden Paradiso that slopes gently down to the sea is the ideal place for doing sports activities or sunbathing. 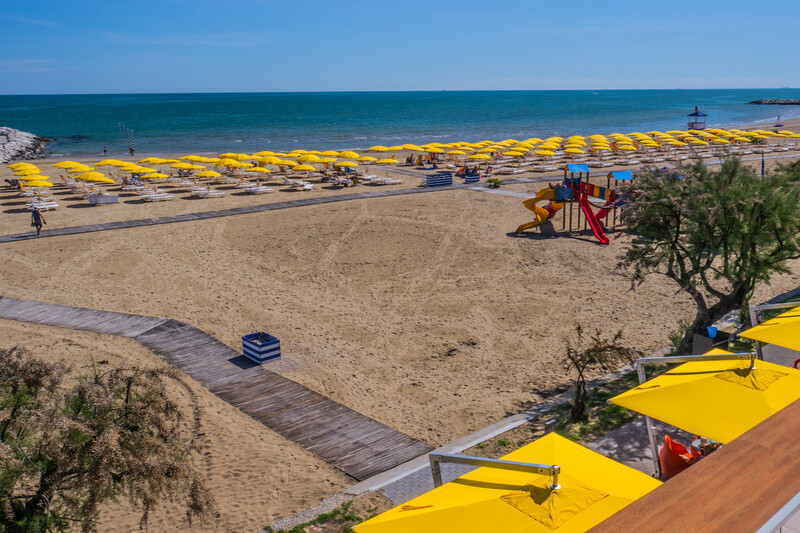 There are also slides and swings for children, beach volleyball courts and the possibility to play boules and frisbee, all without disturbing those who are looking for relaxation and peace. 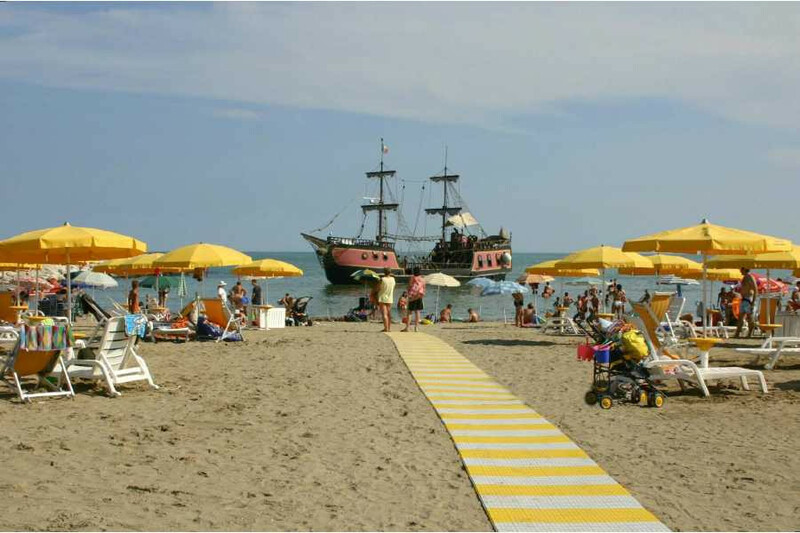 And two days a week the Pirate's ship, the mythical Jolly Roger, sets sail from the beach for a dream sailing trip. Ask directly to the beach guard. Tretboot, Sea bike, Sup, Kayak, Catamaran, Windsurf. 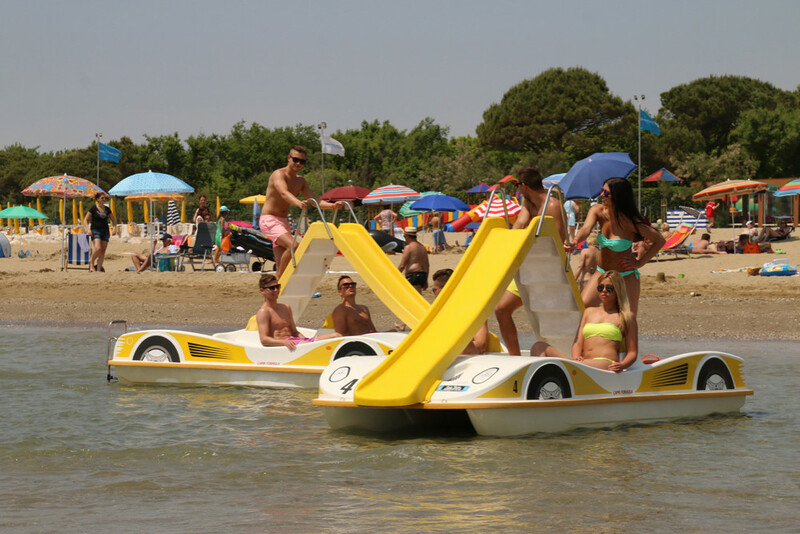 Info e booking: direct at the Water Sport Center on the beach. 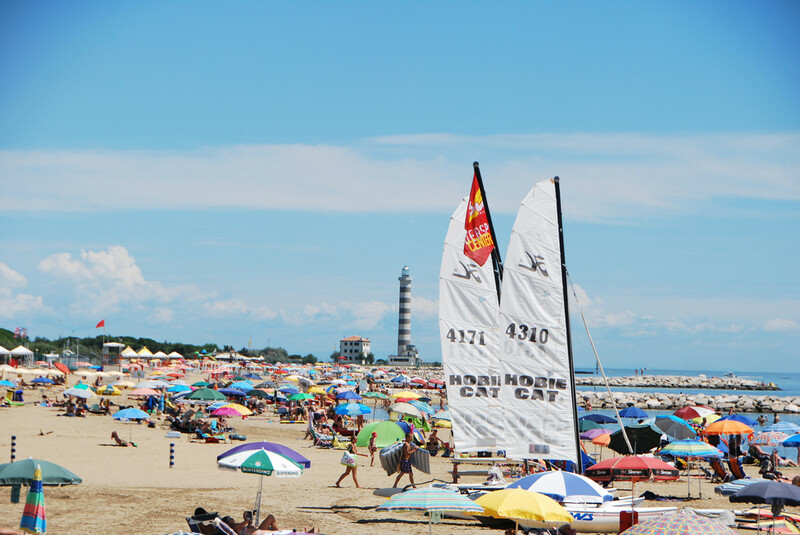 Info e booking at the Water Sport Center on the beach. 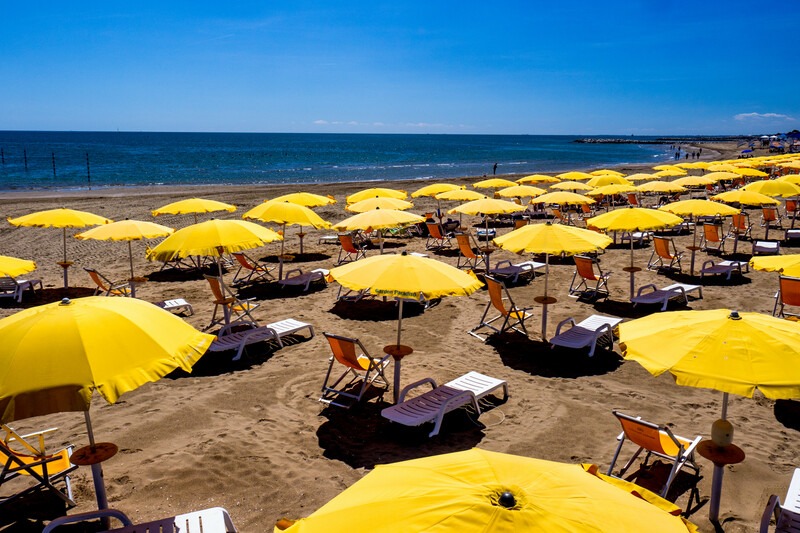 Appointment on Mondays and Thursdays at 3.00pm at Garden Paradiso’s beach.